The home stretch is upon the Pirates as they head into their final trio of regular season games. Coming off a disheartening loss at Cincinnati, the Pirates now must fight for the league title. 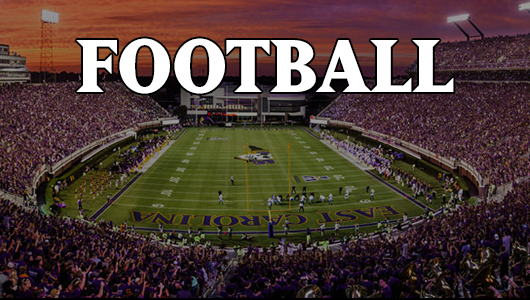 A home – road – home slate couldn’t be anything but perfect for ECU as the regular season will finish with a clash with former C-USA rival and defending AAC champion UCF. This HAD to be by design…what a story book script, very reminiscent of the way that C-USA East seemed to finish with ECU-Marshall for the all the beans. The Pirates will likely be hovering at around the top-25 (or in the votes) and have EVERYTHING to play for ahead of them still. 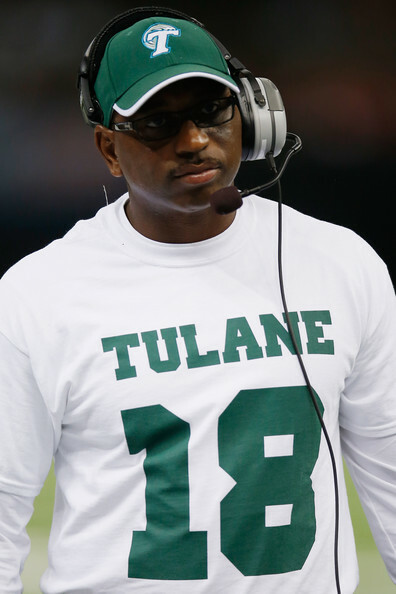 Tulane Coach Curtis Johnson is doing a heck-of-a-job turning around the Green Wave. Disheartened and angry, the Pirates come home with a 7-2 overall mark and carry a 4-1 AAC mark into a clash with Tulane. The same Tulane who stunned the Pirates in 2013, pulling out a 36-33 triple overtime win in a game where the Pirates O rolled up 233 yards more in offense then the Green Wave, yet found a way to lose (see, infamous 99-yard pick 6). In fact, if you can stomach it, here is that game seen through the Tulane eyes. Tulane will be an improved team and is trending – finally – in a positive direction under head coach Curtis Johnson – a guy who Coach McNeill has said over and again would elevate Tulane (and he sounded pleased after their spring game). Though they lost their bowl game last season in a nail-biter to Louisiana Lafayette, the Green Wave are indeed improving rapidly and mostly due to a very good defense and Johnson mining Louisiana for hidden gems. Their offense, unfortunately for them, was not so good…though. Not by any stretch. And, the best part of their offense – running back combo Orleans Darkwa and Ryan Grant – have left the building. Nick Montana (yes, he’s that guy’s boy) wasn’t bad, but he wasn’t great either and now will likely have to shoulder more of the load…that is, if he can retain his job. Whether for motivation or because he got outplayed in the spring, the senior incumbent is currently No. 3 on the depth chart behind two underclassman. While it is likely Montana will start the season, this could signal that a quick hook will be in the wings. Whoever is taking snaps, it will be behind a new center a the starter from a year ago is gone (along with his 39 career starts) along with a guard leaving a big gap in the middle of an already iffy OL. Which, if there is a theme for our defensive front this season, it could be playing teams that are trying to rebuild offensive lines, which means the Pirates should be able to dictate what the Green Wave O can do. While they will be improved – and yes, they did score 36 points last year against the Pirates – it won’t be to the extent that they roll up points, especially in Dowdy-Ficklen Stadium. On the other side of the ball, Carden and the O should fare well against the Tulane D, given that they are looking to replace 6 defensive starters, including four in their front 7 – a strength a year ago – along with an inside backer and a safety (can you say…test the middle). With a favorable match up, our new guards vs their new DTs (though the projected starters are huge), the Pirates O should be able to run at a full clip, meaning a lot of points. The Tulane secondary will be pretty good, particularly at corner, but it shouldn’t be enough. And finally, and a pretty big point here, that damn kicker – Cairo Santos (and his 100% season a year ago) is gone. Congrats on the Lou Groza award…clap, clap, clap…now please leave. Guy was automatic…glad he is gone. At home, having lost a year ago to this team…not a chance the Pirates lose and I think it will possibly be ugly. Let’s go with 49-21 Pirates. 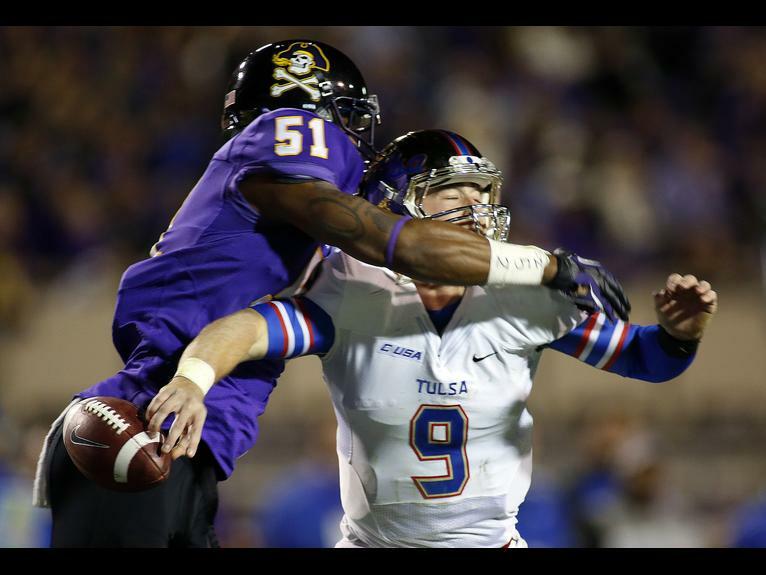 Pirate D will wreak havoc – again – on Tulsa’s QB and offense. If there is a trap game (which I really do not like the term) on this schedule, it is the penultimate regular season game – a road trip to Tulsa. The Pirates could be sitting at 8-2 and 5-1 in the league when they hit the road for this long road game. To boot, it is a short week game, with the Pirates having to play a Friday night game. And…the following Thursday, looms a national TV clash with UCF to close out the regular season and perhaps decide the AAC champion. Now, if ever there will be a week that the coaches need to really get a grip of the kids…it will be the Tulsa road trip. Looking at Tulsa, who entertains the Pirates in their regular-season finale, it is hard to believe that the team the Pirates destroyed 58-24 a year ago, ACTUALLY was expected to win the C-USA title in 2013. Instead, as we all know, they went a dismal 3-9 with a horrid offense and a so-so defense. The offense probably won’t be much better. The best part of that bad offense, was excellent back Trey Watts...who is now gone to the St. Louis Rams (and thank God…he was a tough mutha who also was a beast catching the ball). Rising sophomore QB Dane Evans will likely be better (he must be having nightmares still about the ECU game in 2013), but with little proven talent around him in an offense that’s success is predicated on skill players making small catches and breaking them into big plays (something they could not do a year ago), it won’t get better. And, add to the misery, gone are three of the starting OLs. Tulsa’s O is likely to regress from a year ago, though we should all recall that Tulsa hung in with the Pirates until half-time. Flipping to the defense, Tulsa was a pretty opportunistic D, particularly in the secondary, but aside from LB Shawn Jackson…they really struggled to slow anyone down on the ground. But they do return 10 starters so they will improve and they were decent last year. They do return all four down lineman, but those guys got pushed around and ran by a lot (they did rack up sacks but at the cost of poor gap control.) Now they are faced with trying to replace Jackson at the 2nd level where they have senior linebackers returning (none the caliber of Jackson). The secondary will be good, but with a soft middle and Pirates able to run the ball more, it is not a good match-up for the Golden Hurricanes…it really isn’t. It should be a case where there is not enough offense vs. the ECU defense and not enough defense against the Pirates offense. Will it be the type of blowout last year? Not likely…and I think the trap effect will happen to some degree. Look for ECU to come out with a 42-31 type win. UCF earned it…so they are currently ‘The Man’ that ECU needs to beat, to be. So, here it is. An 9-2 (6-1) Pirates team going for it all at home on a Thursday night in December, welcoming defending AAC Champion, defending BCS Fiesta Bowl Champion, and heated rival Central Florida for a game that IMO will determine the AAC championship. Central Florida having knocked off Cincinnati (who will also have a 2nd loss in league) leaves this as a game that affords the Pirates a chance to control its own destiny. As much as I hate to say it, you have to give UCF respek going into this game. Queue Ric Flair (go to the :34 mark) and hear the words, baby, ‘To be the man, you have to beat the man.” And, in the AAC, UCF is currently the man (though ECU certainly has best hair). Watching them win the Fiesta Bowl last season was like experiencing 1991 all over again when Virginia Tech was invited to the Big East. A team we were even with took off. 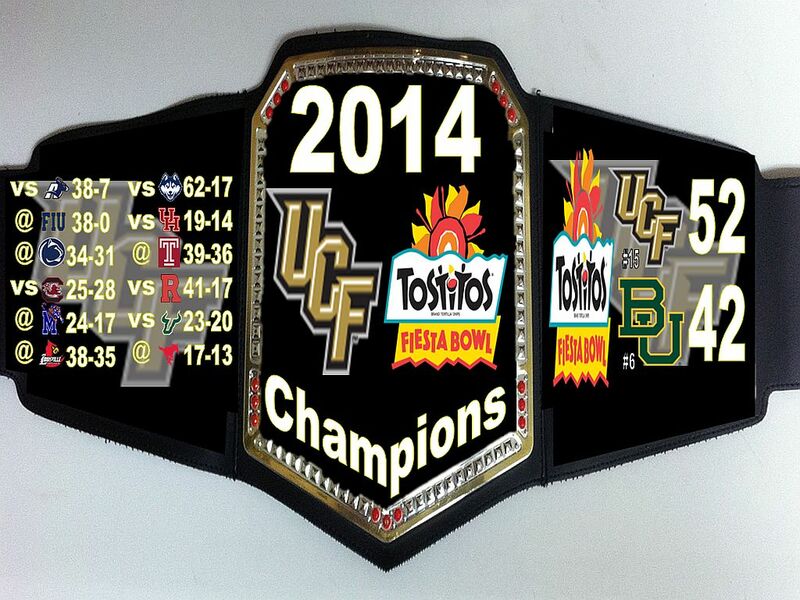 Déjà vu… a team ECU traditionally dominated, gets the invite to a BCS league and whammo! There they are collecting the big check…tough pill to swallow. But, props to them…they did it. Now, ECU has the opportunity to at least take the AAC title. Sure, there will not be a BCS game (sorry, unless we are undefeated, the new model excludes us), but we can make a statement if we do not pull a Marshall in this regular-season finale. A year ago, UCF went 12-1 en route to that BCS win, dropping only a 3-point contest to South Carolina. And, even though their offense was hit hard via the losses of quarterback Blake Bortles and running back Storm Johnson, their defense is going to be GOOD…as in 9 starters back good. The other thing UCF has going for them is that their recruiting has taken a big jump…just look at this year’s class (14 3 stars, 4 4 stars…you see the trend). Some of that bump is from the AAC but I suspect that more importantly, UCF is finding a way to get a number of the iffy Florida kids on the roster (not saying anything, but…gotta wonder if they are UNC’ing it at all down there). Nonetheless…they should have a stellar defense and depth enough to have a decent offense. If you want to see that defense…here are the UCF highlights from a year ago. And, their spring game 2014 highlights. The Pirates will enjoy the home field advantage though and that should buoy the team a bit in this all-important game. UCF is rebuilding its offense and will have to not only replace all-everything QB and RB, but will also have to replace 3 All-AAC linemen. The wide receiving corps is very good – led by Rannell Hall, but you would think UCF will want to run the ball and doing so behind a completely rebuilt line will be tough (though the line will not be green given this will be the last game of the season for them). If you have to run with a rebuilt OL, though, UCF has a good candidate to do well at in bulldozer like William Stanback, a running keg type of back. And, of course, for the UCF offense, it is comes down to who is in the Knights pivot. Justin Holman – Bortles back-up last year – is the expected heir though there is also 4-star QB true freshman Tyler Harris (early enrollee) could also be the man if he gets the playbook down. The Orlando Sentinel did a nice breakdown of the UCF QB situation here. The ECU defense should fare well in this one with a staunch run stopping front and a secondary that will hopefully not have to run with these great receivers very long per snap. If that UCF offensive line protects well, it could be a very different story as the receivers are game breakers there. Further, in this one, the defense MUST force a turnover or two…it is imperative that our O need not be perfect to win. Overall, though, this game comes down to ECU vs that defense. With everything on the line, it is unimaginable to expect that ECU QB Shane Carden and All-America WR Justin Hardy do not rise to the occasion and put on a one last awe inspiring night in their final home game ever. The question is can the rest of the case pick it up for this game. Starting with the Pirates OL, the UCF front is going to be among the best ECU faces all season. They are big, fast, and cause a ton of pressure on the backfield. It will be a battle and if our OLs cannot pass protect and cannot handle mano-a-mano assignments, it could be a tough day for the O. The linebackers – led by 1st team All-ACC MLB Terrance Plummer – are fast and can cover…and, here is the worst part…their secondary is pretty stellar as well. Now…having said all of that, the UCF D over-achieved, benefited from some good fortune at times and may not be drastically better…and maybe last year’s fortune is balanced by less good bounces this year. But, no mistaking here, this is going to be a battle of ECU O v UCF D and will take a mistake free effort from the Pirates…meaning NO TURNOVERS and no stupid plays. One last thing to consider about UCF…last year, UCF was 7-1 in one possession games. Credit Bortles for a lot of that. This means that as good as they are/were, they were not THAT much better than the competition. It is reasonable to expect them not to be able to sustain that…which bodes well for the Pirates in a home game with a lot at stake. To better put that 12-1 record in context, along with the impressive wins over Penn State, Louisville and Baylor, the Knights got pretty damn lucky, too, against the likes of Memphis where UCF got two fumbles in the last 3 minutes of the game. Then there was the Temple game (where UCF scored 10 points in the final minute and some change to win) and mustered a goal line stand to hold off Houston and had to rally in the 4th quarter to beat a hapless USF team – all of this with that offense. So, there season could have been very, very different. Now, they have inexperience at the miracle positions (QB and RB). BTW, that contextual data was lifted from here: pretty nice work on the league. Even with a stellar D, I think ECU will be jacked and ready for this game. It will be a war and low-scoring relative to the season for the Pirates, but I have ECU edging the Knights in the neighborhood of 28-24 and winning the league title with an overall mark of 10-2 and 7-1 in the AAC and off to a pretty good bowl game. Well…there you have it. Optimistic…yes. Possible…very much so. Special players do not come along often and having two is even less frequent. The Pirates have two and a pretty good cast around them. This has real potential to be a special season for ECU, barring injuries. So, let me have it, let me hear it. Share your thoughts…love to hear them all. Go Pirates! Storm the AAC! Thank you for this pre-season prognostication! If it unfolds as you suggest, there will be a lot of happy campers in the Pirate Nation! One question on the bowl situation. I thought the highest ranked team from the non P5 group of conferences was awarded a BCS bowl slot. Am I wrong on that? Hi CP…thanks for dropping a comment…always look forward to your inputs. You are correct about the BCS Bowl Slot…I am thinking that this year, there are a couple of things that couple happen that cuts ECU off. If the season goes like I have guessed at it (and it is an optimistic guess), I think ECU will be ranked. But, I also think that Marshall is going to run the table this season. Their schedule is horribly weak…and I expect that they will be 12-0 this season. I also think that they are going to be ahead of ECU in terms of the initial rankings and will finish above us in terms of rankings at the end. It is all moot however, IMO, since the primary criteria for the college football playoffs is completely subjective from the committee. Instead of the top 4 ranked teams, this committee can do whatever it wants in picking which four compete. If there is a shot for a New Year’s Eve or the Cotton Bowl on New Year’s day, I believe we will fall behind another non-so-called-Power 5 conference in the rankings. Now…if ECU runs the table…hmmmmm. I have no faith in the selection committee, but it would be nice to make it uncomfortable. It is optimistic but I’ll take it at this point. I really enjoyed the analysis…great work.